- Watch case made with natural maple wood. - Minimalist, fashionable and unisex design. - Fitted with mercury free (0% Hg) SR621SW / 364 battery. -The buckle is made with durable 304 stainless steel to keep the watch secure on your wrist. - High quality scratch & impact resistant mineral glass. - 100% genuine brown leather strap. This unique leather strap gives you a comfortable fit & fashionable look. - Accurate Japan quartz movement. - 250mm total length case and straps. - Date display at 3 o'clock. - 100% unique. No two watch are the same because of the unique maple wood grain on each watch. - Because it's 100% unique, watch shipped will look slightly different from picture shown because no two natural wood are the same. I purchased this item as a gift for a friend, and was very happy with how it looked. The friend said it was beautiful and wears it everyday now - an action which speaks louder than words. I received the item within the week as I opted for the express post and was very happy with this also. 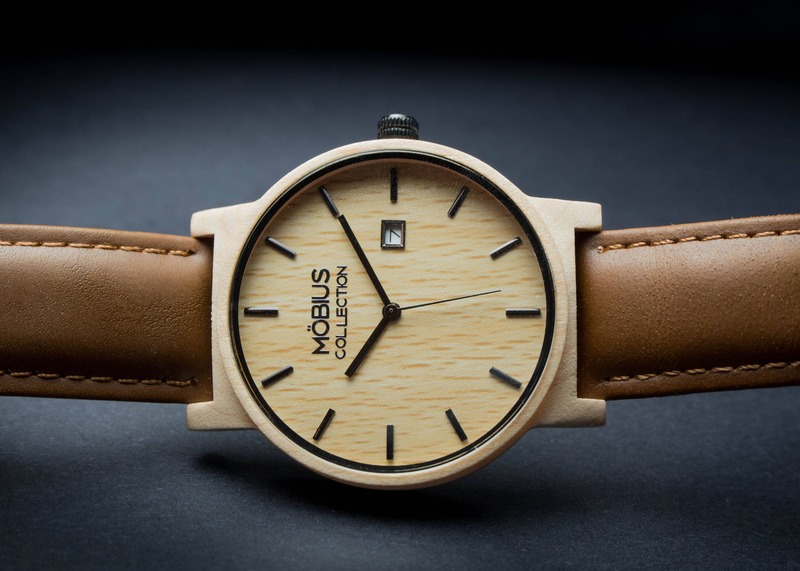 If you like a wooden watch with a slightly larger face, then you will be happy with this. The tan leather strap was finished very professionally also. Great product, great quality, prompt postage and delivery. This is delightful! Thanks so much- my dad will love it. Once you place an order, it can not be cancelled, but if you wish to make changes before the shipment we can help. All the items that we offer on our shop have been described as accurately as possible -with all dimensions, colors and used materials- and we really try our best to take great pictures so you know exactly what you are buying before you receive it. We will not be responsible for any lost or unreceived items. We hope all these steps make you happy with your purchase! But if for any reason you are not happy, please contact us within 3 days of receiving the item in order to be eligible to return it. We will respond within 24 hours so we can find a happy-ending solution together! Due to our policy, we’ll refund you the cost of the item that you purchased but only after you return the item to our studio and we receive it. Return shipping on refunds will be at the expense of the purchaser. We ship between 3-5 days after receiving order and payments. We ship using Australia Post. Shipping to countries outside of Australia can take up to 14 business days and more except for custom order that can take a few more days to prepare before sending. Local and International buyers are responsible for any additional taxes, fees, Brokerage fees, VAT or duty charges assessed by their country or shipping carrier, or any damages caused by Customs officials, etc. Please check your country's customs and regulations for items which are prohibited or restricted in certain country. Before leaving any kind of feedback make sure that we have done everything to make you happy. We are still only human and mistakes will happen, but please give us the chance to fix the mistakes before you leave us feedback, as feedback is to show that we have done everything possible to resolve or secure a bad situation.